Want to see another Major League Baseball or NBA franchise in Canada? At least one politician believes both professional sports leagues might think twice about establishing a new team up north if Bill C-290 becomes law. Conservative MP Michael Chong is a vocal critic of the bill, which would legalize single-game betting on sporting events if it is passed by the Canadian Senate. Currently, provinces that allow sports betting, such as Ontario with its Pro-Line games, require bettors to wager on multiple outcomes on a single ticket (commonly called "parlay" betting). Casinos in Las Vegas allow bettors the option of wagering on a single game. "It undermines the integrity of professional and amateur sport in Canada," Chong told CBC Sports. "There's a reason why franchise in Canada? At least one politician believes both professional leagues might think twice about establishing a new team up north if Bill C-290 becomes law.none of the four major sports leagues have moved a franchise to Nevada. That jurisdiction has legalized single-event sports betting." After passing through the House of Commons, Bill C-290 needs only to survive a third and final reading in the Senate. If the federal law is passed, each provincial government will be allowed to decide if it wants to allow single-game betting in its jurisdiction. Both the NBA and MLB are vehemently opposed to the new bill, with baseball officials appearing at a Senate committee meeting to voice their opposition last Tuesday. NHL deputy commissioner Bill Daly plans to appear before the Senate committee next week. The NFL has also voiced its opposition to gambling on its games. The major concern for these leagues is that the proposed law could affect the integrity of their games. "Losing bettors and fans... may in turn become suspicious of every strikeout or error, and the game's integrity would be open to question — play by play, day after day," Toronto Blue Jays president Paul Beeston told the committee. "If large numbers of our fans come to regard baseball only, or even partially, as a gambling vehicle, the very nature of the sport will be altered or harmed." Chong points to one example that makes him concerned about sports betting in Canada. New Jersey recently passed a new state law allowing betting on individual collegiate and professional games. In response, the NCAA pulled six championship events out of the state. All four major North American professional sports leagues filed a lawsuit in U.S. federal court in August trying to stop New Jersey from allowing single-game betting in its casinos. “I take seriously when MLB says it puts at risk future expansion or the re-establishment of a second MLB franchise in Canada, as they said in front of the Senate committee this week, ” said Chong. The NBA takes a similar stance to baseball's on Bill C-290. The league almost revoked the Toronto Raptors' expansion franchise back in 1994 over Ontario's sports betting game Pro-Line. As a condition of getting the team, the province's lottery corporation agreed to stop offering wagering on NBA games. 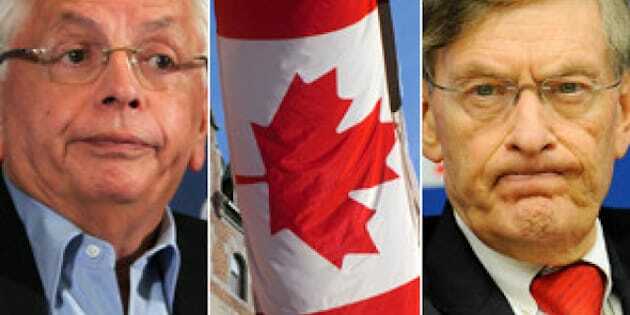 "We know gambling exists around the world," NBA commissioner David Stern told the Globe and Mail. "We accept the status quo and understand that governments who are hungry for money will do just about anything regardless of its demonstrated impact on its citizens." Proponents of the new bill say critics are overblowing the issue and the benefits outweigh the risks. They argue single-event gambling will provide an economic stimulus to cities with casinos, such as Windsor, Ont., and Niagara Falls, Ont., create jobs and bring money into the country that may have been spent on internet gambling sites based on foreign soil, or on illegal gambling. There will be various security measures in place to stop gamblers from trying to affect the outcome of a game, said Jim Warren, president and CEO of Riseley Gaming Inc., a Toronto-based company that specializes in casino development and management and owns a stake in Casino NewBrunswick in Moncton. "Now, there's so much transparency with the way gambling works, with the way huge bets are made," said Warren. "You are going to have to physically go into a casino. You will be on a security camera. Any transaction over $10,000 is logged inside the casinos." Warren argues this private member's bill will give casinos in Canada a competitive advantage over those in the States. "For years, people in Detroit went to Windsor because there were no casinos there... There's been a massive decline of Americans crossing the border due to Sept. 11, the mandatory use of passports when crossing the border and the price in gas. "The idea is you could put together a package on [college basketball's] Final Four weekend, the World Series, etc. and get Americans to return to Canadian casinos because they can do single-event sports betting instead of multi-event."